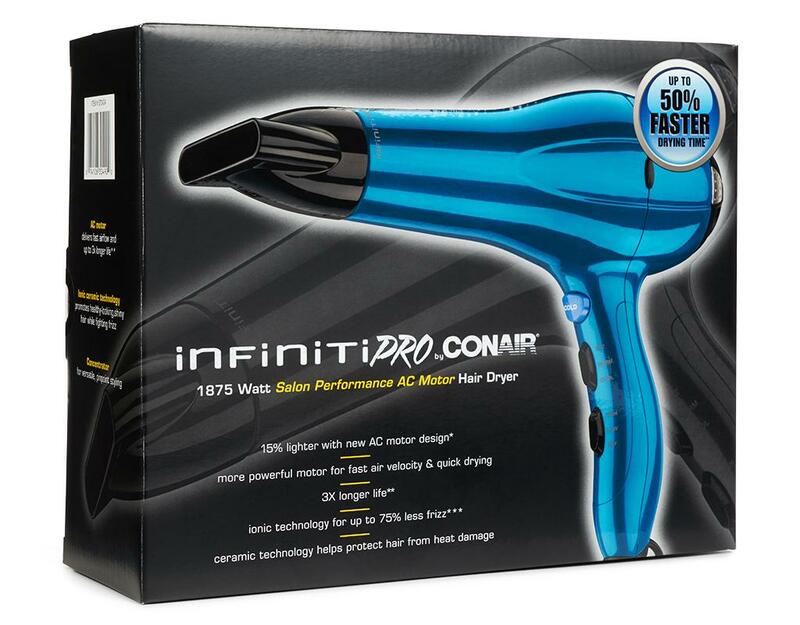 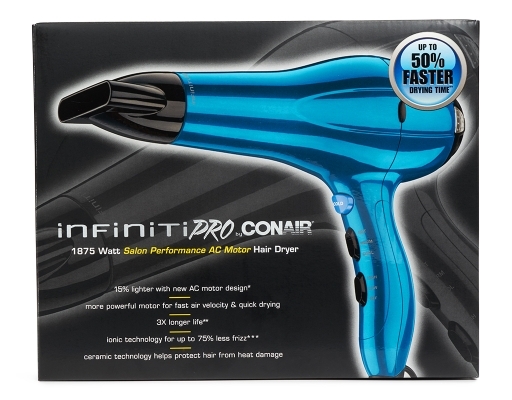 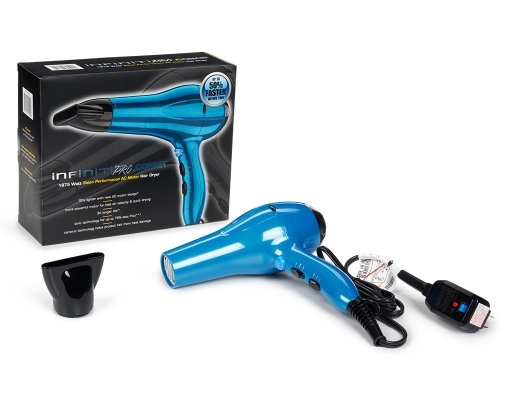 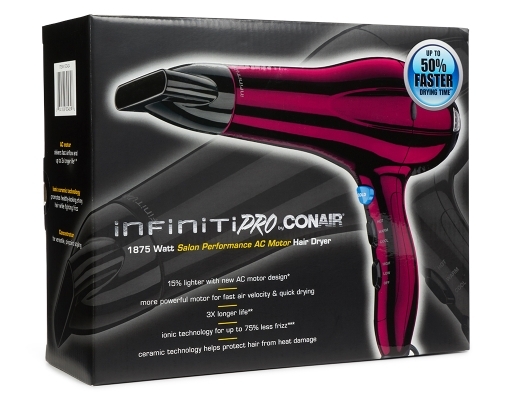 Rev up your styling power with the Conair Infiniti Pro Hair Dryer. 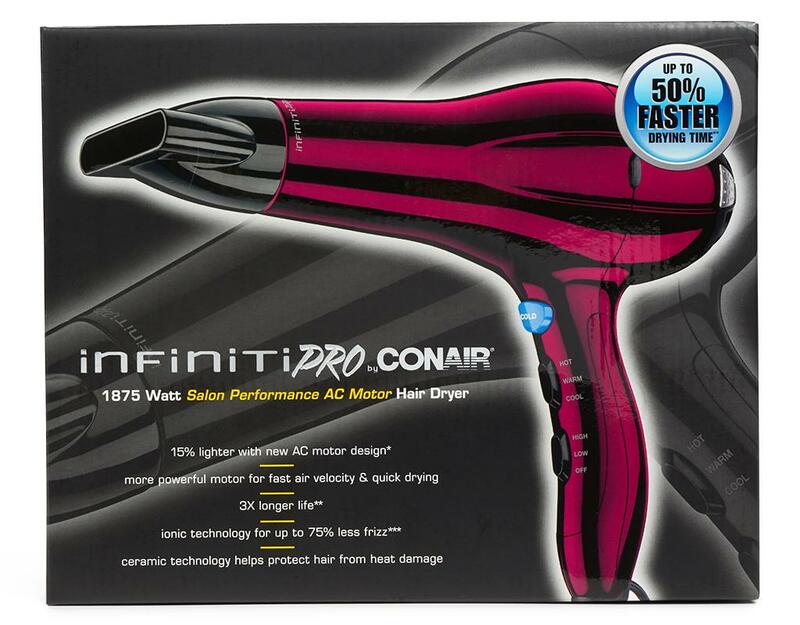 Long preferred by hairstyling professionals, AC motor hair dryers are more durable, better for the hair and longer lasting. Ergonomically designed for ultimate comfort. 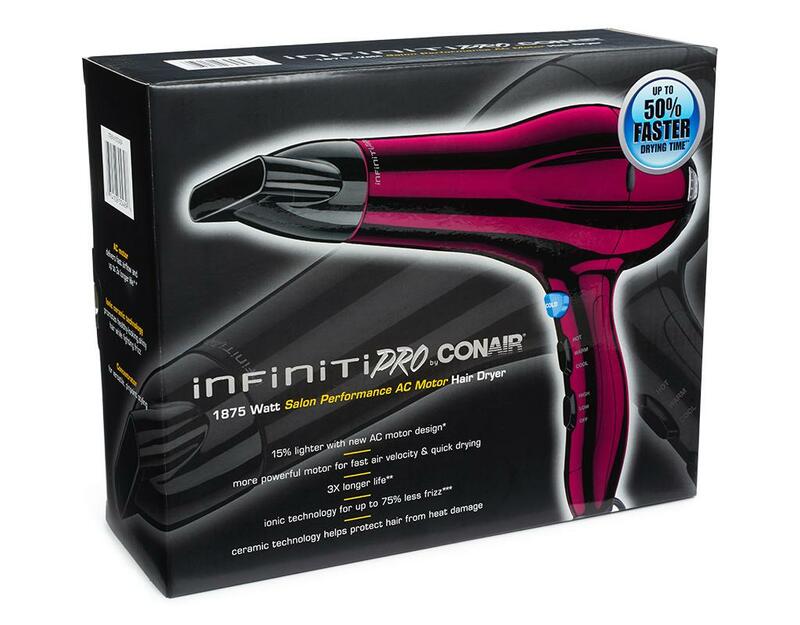 High performance for salon-quality results. 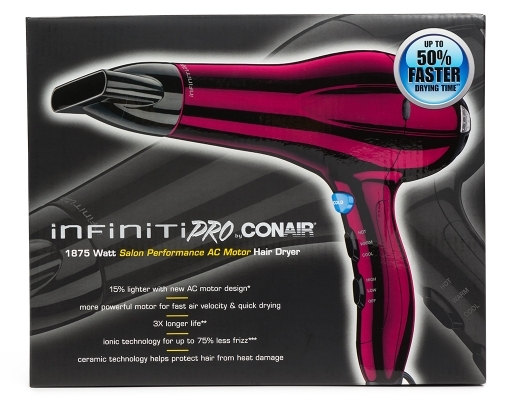 A quiet, but powerful AC motor ensures fast drying time, which means less heat exposure for hair. 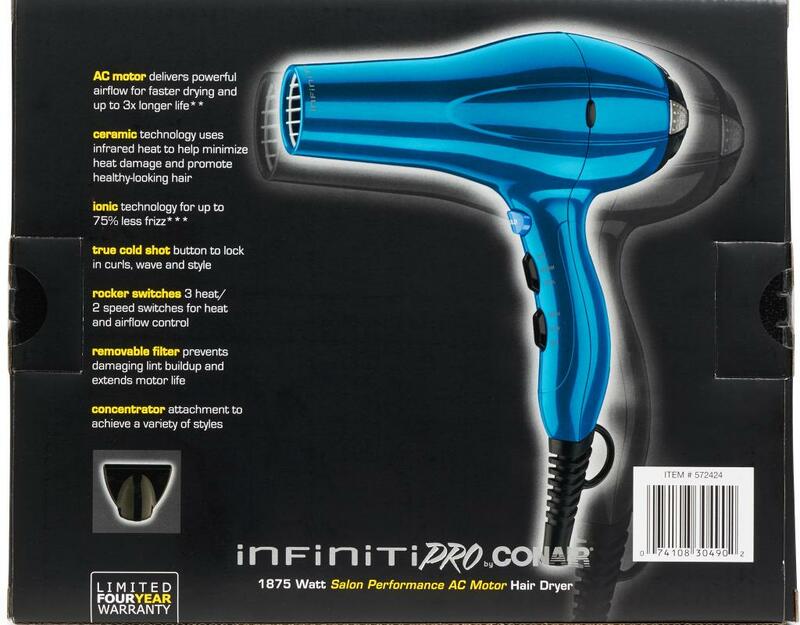 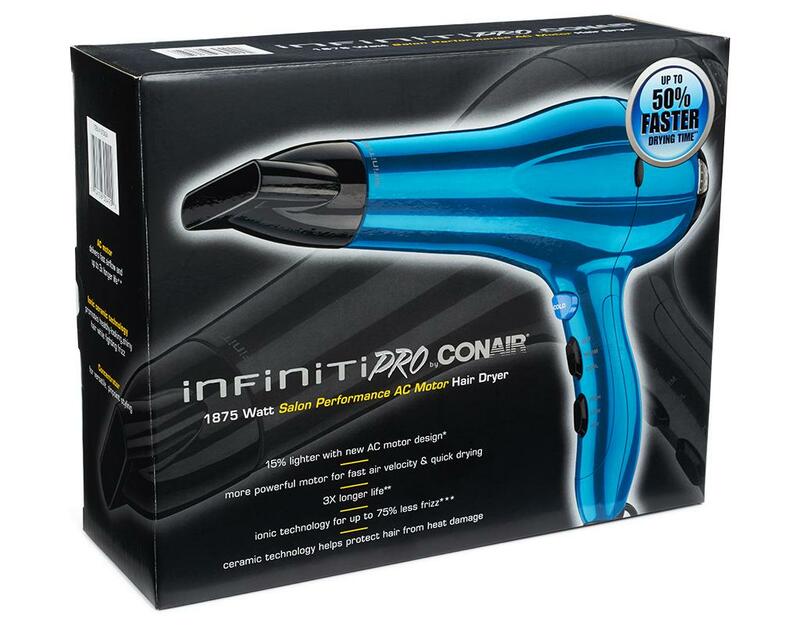 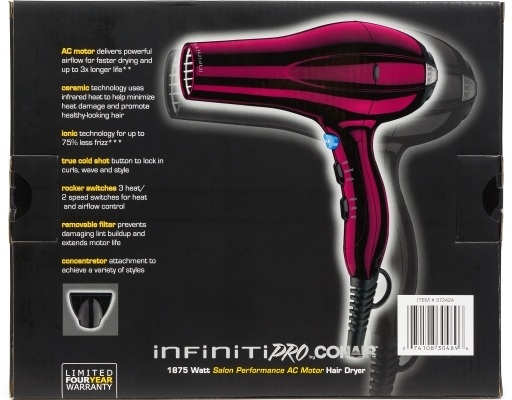 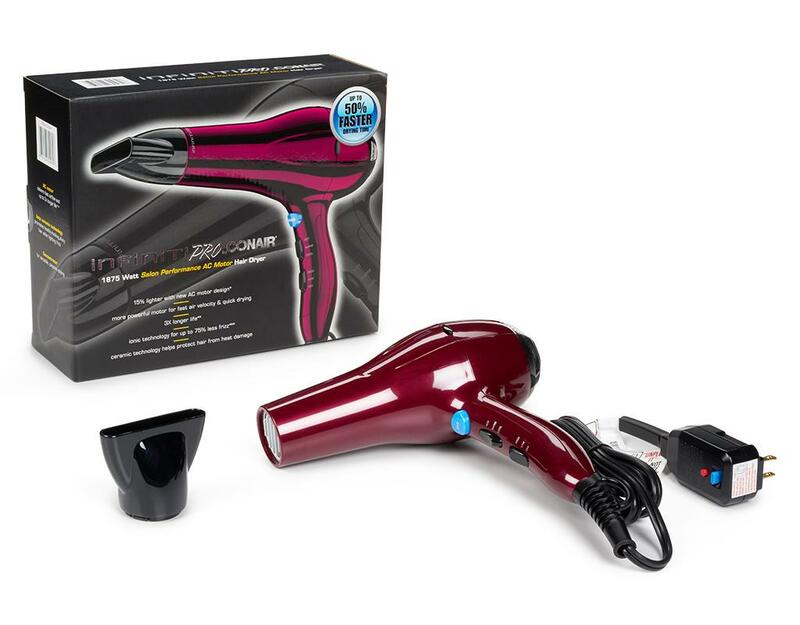 The Conair Infiniti Pro Hair Dryer delivers comfortably effortless styling and sensational results.